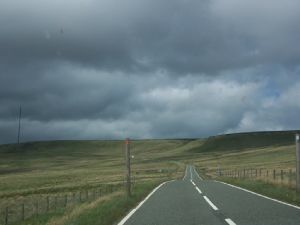 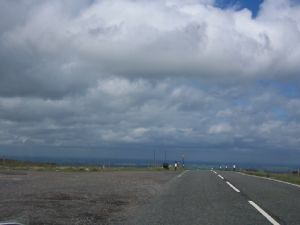 In the next picture, we are looking backwards and to the left, towards Binns Moss - the picture shows the enormity of the moorland landscape in this area. 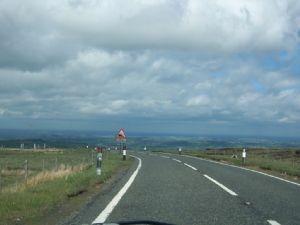 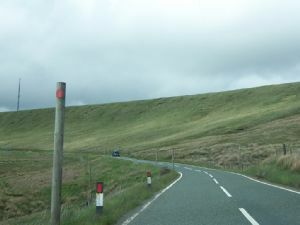 In the other picture, we are warned to beware of falling rocks as the road climbs towards Upper Heyden and the Yorkshire border. 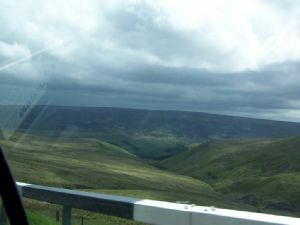 Here, we have just about reached the Yorkshire border - there's a car park and viewpoint here. 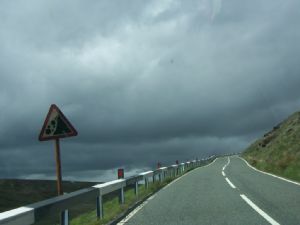 But before you know it, we get advance warning of a steep hill downwards!